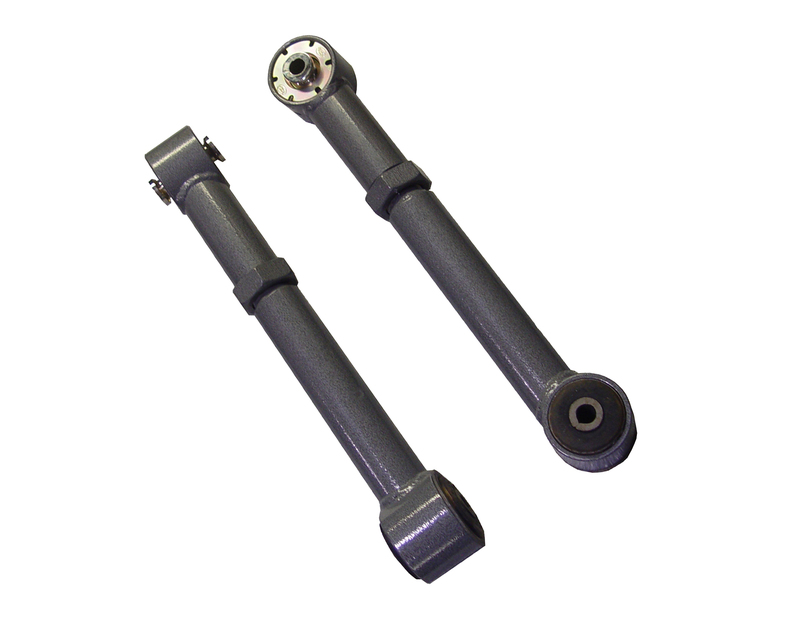 Jeep Adjustable Short Control Arms Front or Rear Lowers Rock Tek Jeep XJ,TJ,LJ TNT Customs. Constructed out of the same quality materials and components as our Rock-Tek long arms. TNT's New! 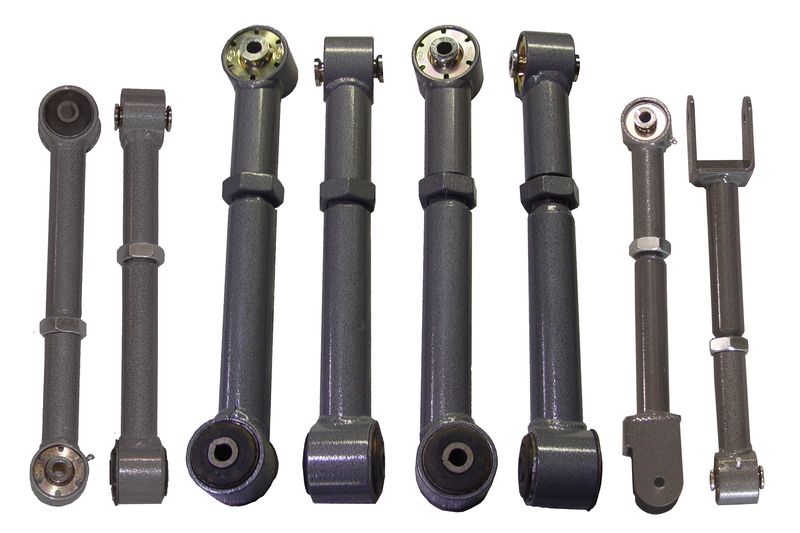 Rock-Tek Adjustable Short Arms are the solution when it comes time to upgrade your Jeep Wrangler TJ, LJ Unlimited, Cherokee XJ, MJ Comanche or ZJ Grand Cherokee flimsy factory lower control arms. Both our Upper and Lower Short Arms feature 2.5 inch of adjustment and include fine threaded stubs for accurate axle placement and caster/pinion angle adjustment. Summit Machine flex joints are manufactured here in the USA and are greaseable and rebuildable while our OE style rubber bushings reduce noise and vibration.